"We Are Your Marriage & Relationship Advocates!!" Read the Inspiring True Love Story of two people who dared to trust God after experiencing & overcoming heart-breaking life tragedies to find amazing love! A Marriage Ordained & Arranged by God himself! A couple who trusted God so much that they literally Married At First Sight! Our story will cause you to believe in love again & to never give up on your Dreams! 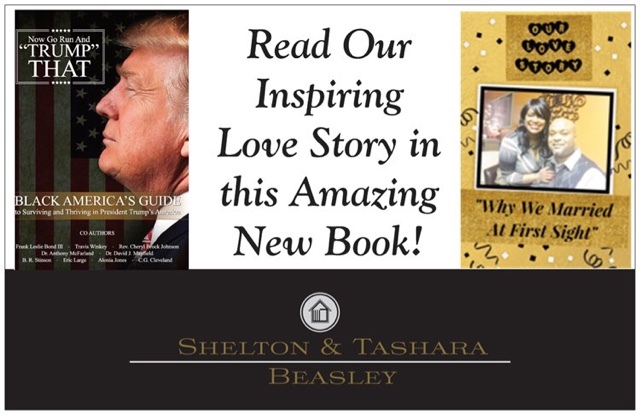 You will be so inspired not only by our story, but countless others in this New Amazing Book, "Now Go Run And Trump That!" Singles: "Don't Be Fearful of Marriage"
But in a Great House there are not only Vessels (Wives) of Gold and Silver, but also of Wood and Clay, some for Honor and some for dishonor. Therefore if (a Wife) cleanses herself from the latter, she will be a Vessel (a Wife) for Honor, Sanctified and Useful for the Master, Prepared for Every Good Work. Not All Wives Are Created Equal! 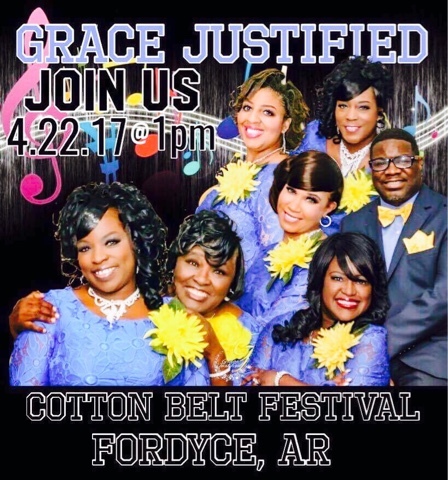 Grace Justified will be ministering Saturday, APRIL 22nd in FORDYCE, AR at the Cottonbelt Festival @ 1pm!!! THE LOVE & SACRIFICE OF JESUS!!! Thank God! THIS COULD BE THE NUMBER 1 THING TO SAVE YOUR MARRIAGE & RELATIONSHIP RIGHT NOW! A Total Single Relationship Moment with The Beasleys! Don't Settle!!! "WHY SETTLE WHEN YOU CAN SELECT!" 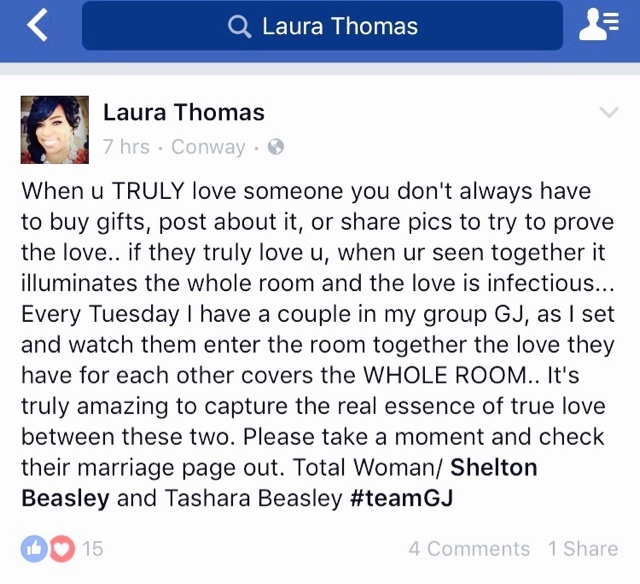 A Total Marriage Moment with The Beasleys! (Pt.2) Conflict, Communication, & Closeness! We share "10 WAYS TO HAVE An Argument-Free Marriage & Relationship!" 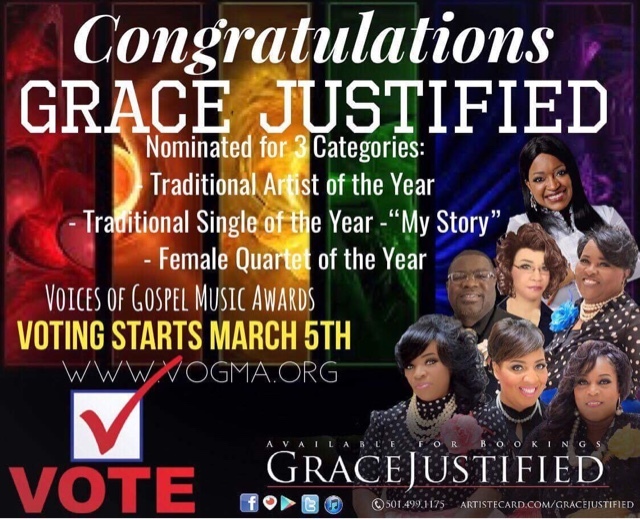 We count it an honor to be selected for 3 categories in the Voices of Gospel Music Awards! Voting starts Sunday, March 5th, we need all of our fans to please vote! We want to bring ALL 3 awards back to Arkansas! The public can vote as many times as they want every day. I come before You in the name of Your son, Jesus, and I praise You, & thank you that you are Jehovah Jireh, my God, and provider. I thank you for the many ways you have provided for me and my family. Thank you that You desire that we would prosper and be in good health even as our souls prosper. Help me to prosper my soul in Your Word and to listen to your instructions and acquire divine wisdom. Thank You that Your blessings bring wealth and You add no sorrow to it as You fill our treasuries for Your glory. Your gifts are better than the purest gold, & Your wages better than sterling silver. I ask for wisdom and Godly counsel so that I can work wisely, and prosper in all that I do, and be satisfied and fulfilled in life. Lord, You have said that you will show me a way out of my problems. I ask for that now. Forgive me where I have been fearful, greedy, or foolish in my work and my finances. Help me to have integrity and wisdom and to persevere in righteousness. Forgive me for idolatry to the things of this world and help me to love You more. I ask that You mercifully restore my losses. I choose to walk in the paths of righteousness & justice, and to love and honor You, Oh Lord. I choose to be a cheerful giver and to be generous for that is Your heart, and you have said that a generous man/woman will prosper. I will give ten percent of my income to You, Lord, and I will watch the windows of Heaven open and pour out a blessing just as You have said. Give me Your heart for the poor that I would joyfully give offerings and gifts to those in need. Thank You that as I give, it will be given unto me. Copyright. ©Shelton & Tashara Beasley. All rights reserved. This material may not be published, broadcast, rewritten, or redistributed without consent. WE ARE CHALLENGING ALL MARRIED COUPLES TO DO THE TOTAL MARRIAGE 14-DAY LOVE CHALLENGE (February 14th-28th)! Right now, it may be hard for some to imagine making Valentine’s Day an Every Day Affair, so let’s start simple. What will you do with the rest of the 14 days of this month? Yes, We want you and your spouse to do the 14-Day Love Challenge! For the next fourteen (14) days, We want you to be infatuated with, be in love with, fall in love again, talk to, date, and give your all to your spouse and marriage. "Make Every Day Valentine's Day!!!" Checkout Today's Video & Our Marriage Blog! 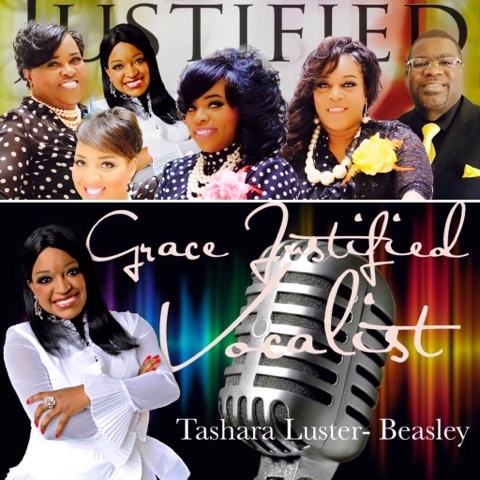 GRACE JUSTIFIED PERFORMANCE ON FOX 16 "Good Day Morning Show"
Thanks Laura for these beautiful words about us! 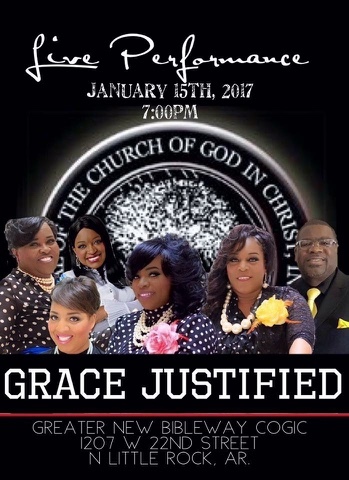 We are "The Love Story of Grace Justified!" Truly blessed, grateful, & humbled to have a marriage that inspires others! 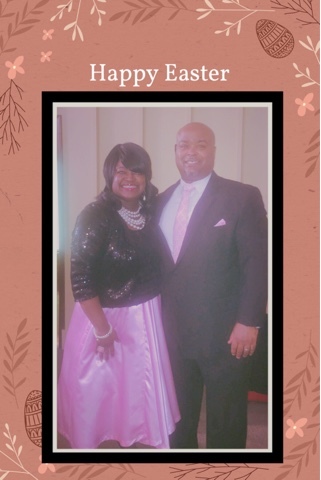 My husband & I are Committed to making our marriage strong every day! SINGLES, We are back with another Great Video!! "Unwise Reasons to Get Married!" Stay Connected with All Things Grace Justified by liking Our Facebook Page! 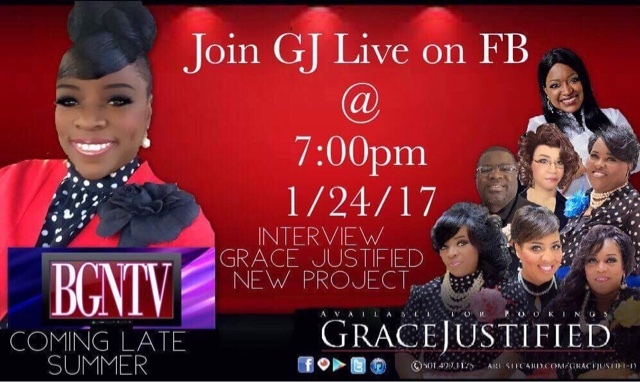 Join us this Tuesday, Jan 24th @ 7pm LIVE ON Facebook! 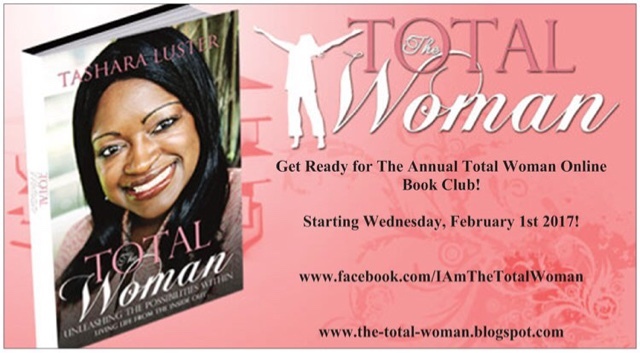 Join The Total Woman Online Community, Life Class, & Book Club on Facebook Today! 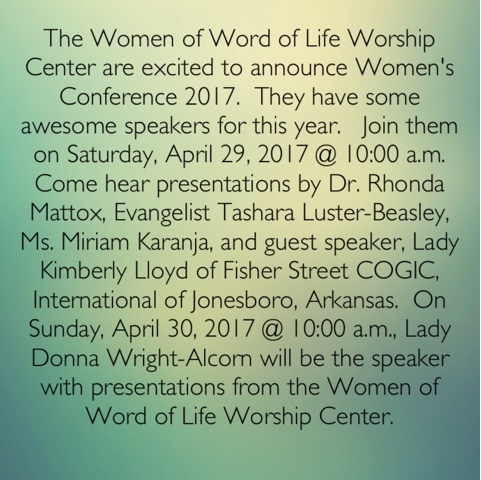 Real Community, Real Sisterhood, Real Love, Real Freedom, Real Talk & Truth! 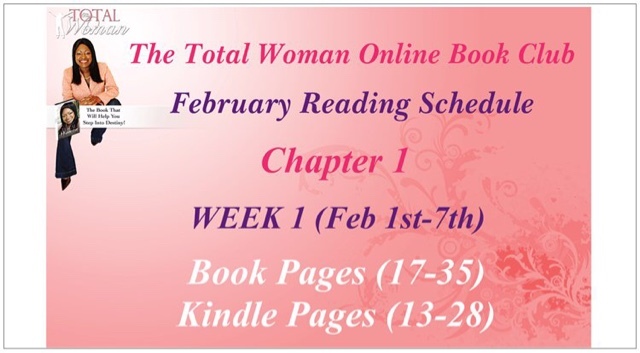 Order The Total Woman Book Today! 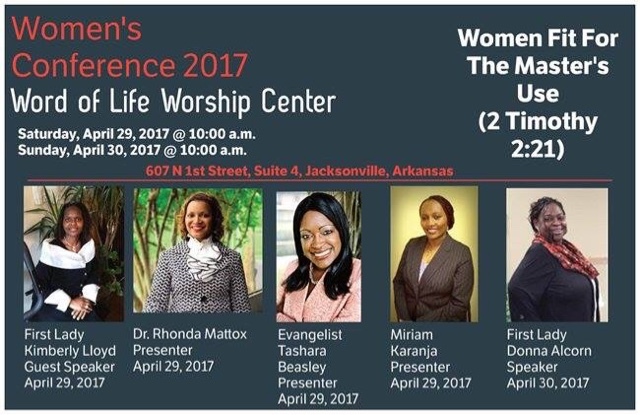 Calling All Ladies! 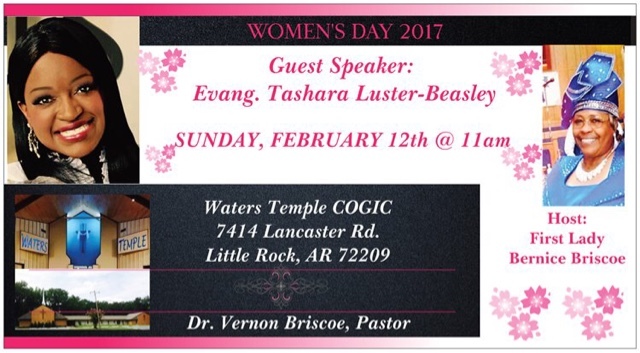 Join Us Sunday, February 12th @ 11am for Women's Day 2017!!! Shelton & I were so Blessed to be chosen as one of the Featured Married Couples on the National Marriage Week USA Campaign: "Marriage is Worth It"
All Roads are leading to Little Rock Arkansas for the 2017 COGIC National Leadership Conference!